Armed Makerere University Staff Chased Out Of Academic Meeting. 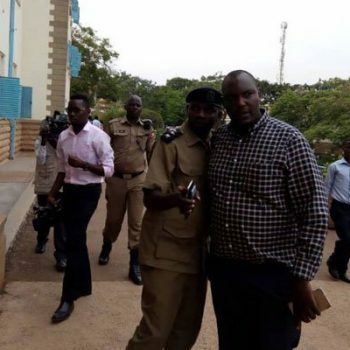 Mr Amos Dembe, a Makerere University staff was on Monday 11th February, thrown out of the staff assembly after he was found armed with a pistol gun. Mr Okello said that Dembe is a security operative, and he was not aware that he (Okello) is a staff at Makerere asserting that ISO is going to investigate further.